Photo: Hojusaram. Creative Commons BY-NC-SA (cropped). Free media, traditional and new, are indispensable for development, democracy and good governance, United Nations officials said this week, spotlighting Press Freedom Day — observed annually on 3 May — to urge governments, societies and individuals to actively defend this fundamental right as a critical factor in achieving internationally agreed development goals. The discussion mirrors the theme of this year’s World Press Freedom Day, which, along with proving an opportunity to celebrate the fundamental principles of this freedom and to pay tribute to the journalists that have lost their lives in the line of duty, will spotlight the media’s importance in development; the safety of journalists and the rule of law; and the sustainability and integrity of journalism. The briefing will also feed into the major effort under way throughout the UN System to achieve a new development agenda to succeed the landmark Millennium Development Goals (MDGs). Those targets, agreed by world leaders at a UN summit in 2000, aim to slash extreme hunger and poverty, cut maternal and infant mortality, combat disease and provide access to universal education and health care, all by the end of 2015. “The United Nations General Assembly has unequivocally condemned all attacks and violence against journalists and media workers. Governments and all those with influence must now act on this condemnation by protecting journalists and other media workers,” said Ban Ki-moon. In his remarks, Mr. Ban said that every day of the year, the fundamental freedom to receive and impart ideas through any media is under assault, “to the detriment of us all.” Indeed, journalists are being singled out for speaking or writing uncomfortable truths – kidnapped, detained, beaten and sometimes murdered. “Such treatment is completely unacceptable in a world ever more reliant on global news outlets and the journalists who serve them,” said the UN chief. He told the briefing that last year, 70 journalists were killed; many caught in the cross-fire of armed hostilities. Fourteen more have suffered the same fate this year. Also last year, 211 journalists were being held in prison. 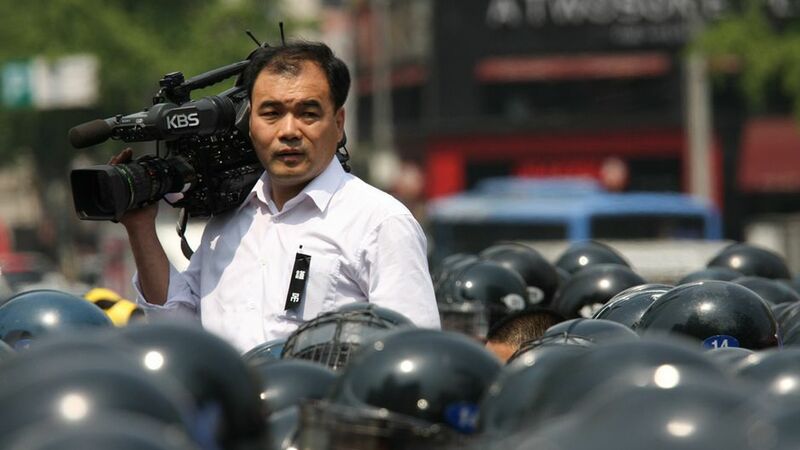 Some 456 journalist have been forced into exile since 2008. And since 1992, well over 1,000 journalists have been killed – nearly one per week. “These are alarming figures. Behind each statistic stands a man or a woman simply going about their lawful business,” the Secretary-General said, stressing that there must be no impunity for those who target journalists for violence, intimidation or distorted uses of legal procedures to disrupt or impede their work. As for the post-2015 agenda, he said free media, traditional and new, are indispensable for development. They can promote transparency about the new goals that Member States will adopt – progress as well as shortfalls. “Social media and mobile technologies offer new tools for accelerating citizen participation and economic and social progress,” he said, adding that the media’s watchdog function is essential for holding Governments, businesses and others to account. “On this World Press Freedom Day, I call on all Governments, societies and individuals to actively defend this fundamental right as critical factors in achieving the Millennium Development Goals and advancing the post-2015 development agenda,” said Mr. Ban. Echoing those sentiments, John Ashe, President of the UN General Assembly, said freedom of expression and freedom of the press are fundamental rights that form an essential pillar of democratic societies. “When journalists are able to report freely, they support informed citizen participation in political and social processes and promote civic engagement,” he added. Mr. Ashe recalled that in December 2013, the Assembly adopted for the first time a resolution condemning all attacks and violence against journalists and media workers, and proclaimed 2 November as the International Day to end Impunity for Crimes against Journalists. “Our Assembly called upon Member States to promote a safe and enabling environment for journalists to perform their work independently and without undue interference. In this regard, the UN Plan of Action on the Safety of Journalists and the Issue of Impunity is an important multi-stakeholder mechanism,” he said, adding that only by ensuring that journalists can work safely and without fear will they be able to give voice to those who do not have one, tell stories that are untold and help build open and transparent societies.